Forget $2 gas. Gas is getting close to the $1 mark in some parts of the country. There are at least eight states where some stations are now selling gas for less than $1.25 a gallon, according to GasBuddy.com. The cheapest gas at the moment is at a 7-Eleven in Oklahoma City, which is selling a gallon of regular for $1.11. In fact, more than a dozen other stations in that city have gas for $1.14 or less. Extremely cheap gas can also be found in Texas, Missouri, Ohio, Indiana, Illinois Michigan and Kansas. Nationwide, the average price of a gallon of regular is down to $1.74, the cheapest it's been since early January 2009. A huge supply of gas is flooding the market, which is driving down wholesale gas prices. A gallon of regular gas was going for just 69 cents on the wholesale market in Oklahoma on Monday morning, according to Tom Kloza, chief analyst for the Oil Price Information Service. Most other regions have wholesale prices below $1. Gas probably won't go below $1 a gallon, Kloza said, but cheap gas has become fairly common. "About one station in four nationwide is at $1.50 a gallon or less," he said. 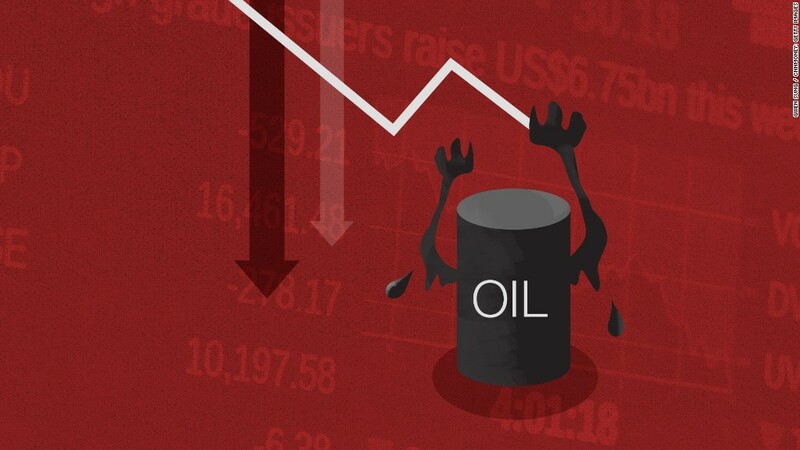 Cheap gas is also the result plunging oil prices; a barrel of crude fell below the $30 mark again on Monday. There's a glut of oil on the market due to strong U.S. production, the end of Iranian sanctions and the refusal of some OPEC members like Saudi Arabia to cut back production to support prices. Related: How much does gas cost in your state? And the reduced supply of gas will mean higher prices. Still, Kloza expects gas to stay relatively cheap by historical standards, with the national average for 2016 likely to come in between $2.25 to $2.50 a gallon.